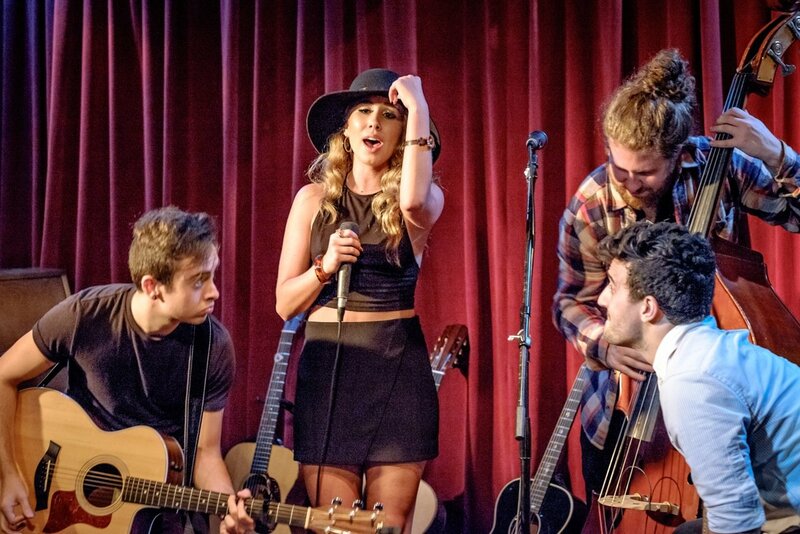 Haley closed out the show featuring Dylan Chambers and Mark Ballas last Tuesday night at the Room 5 Lounge in Hollywood California. It was an awesome night, filled with great music and lots of talent. And I mean LOTS of talent considering half of the Dancing with the Stars cast seemed to be there to support their fellow cast mate Mark Ballas. Celebrities in attendance included Mark’s parents, Shirley and Corky Ballas. Also, Sadie and Korie Robertson, and Chrys Howard from the hit A&E TV show “Duck Dynasty”. Other dancers including Derek Hough, Witney Carson, Sasha Farber, Allison Holker, plus more were also there! Janel Parrish (actress from the popular TV show “Pretty Little Liars”) and Bethany Mota (Famous YouTube Video Blogger) who are both also on this season of Dancing with the Stars were in attendance as well. Dylan Chambers opened the show with his own catchy originals, while showing off his guitar skills, and with memorable Prince and Amy Winehouse covers. Mark Ballas took the stage next, playing many songs off his recently released EP “Kicking Clouds”. He also gave an amazing performance of his song “She”, which he dedicated to his grandmother who had passed away last year. Haley closed the show with quite the memorable set, with guests Albert “Beatalks” Marzano on drums, Clare Reynolds and Casey Abrams on a few songs from the night. You don’t want to miss the debut of Haley’s new song “Knock Me Out” accompanied by Clare Reynolds on the piano and backup vocals. 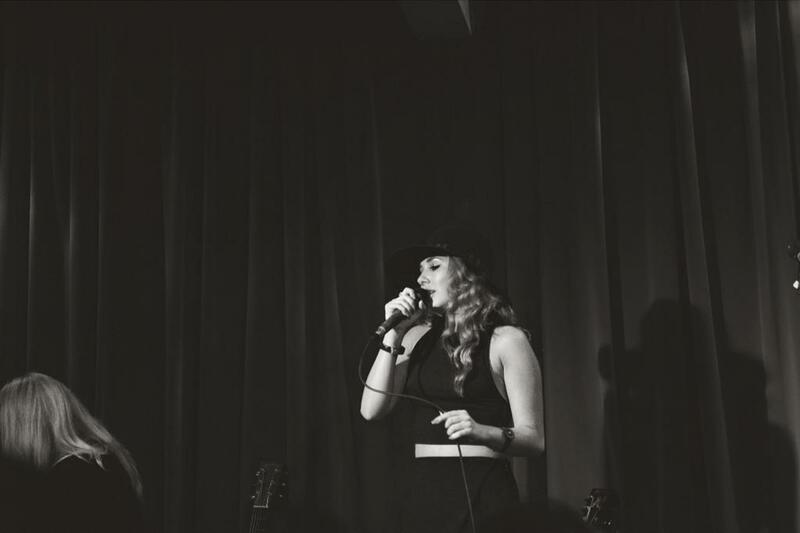 Clare is a singer/songwriter who wrote this new song with Haley. 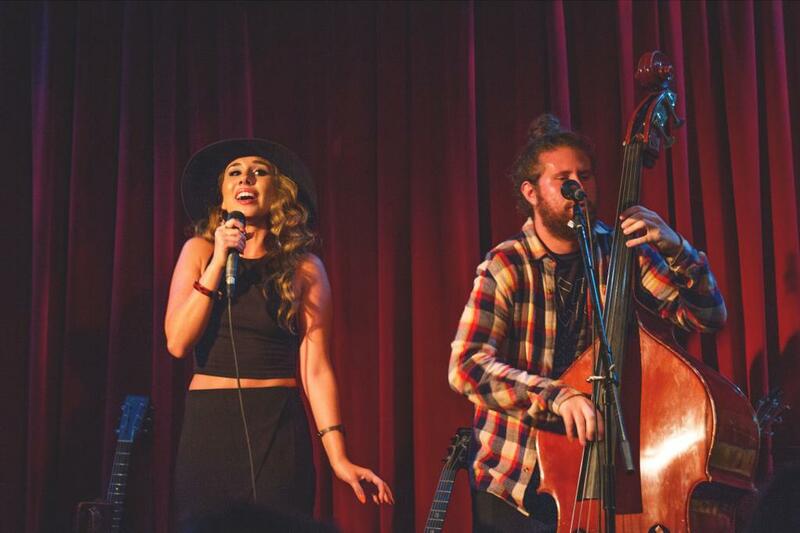 She also co-wrote “Love is Worth Fighting For” as well, which Haley debuted a few months back at Room 5. Also a first, Haley and Casey’s fun new cover which seems to be a fan favorite was Meghan Trainor’s “All About That Bass”. Another new cover was Eric Hassle’s “Pathetic”, which truly showcases Haley’s vocal abilities. This is a must see!